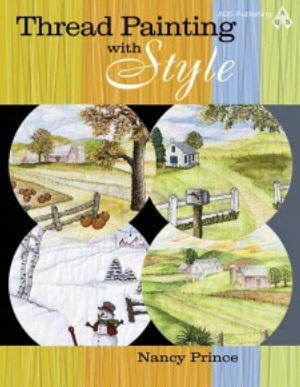 I’m proud to announce my new book, Thread Painting with Style, published by the American Quilter’s Society. Thread Painting with Style is a comprehensive reference book that walks the reader through all the supplies and techniques needed for successful thread painting and thread sketching. This is my second book. I also introduced a new CD, Sketching the Seasons, an adventure in machine embroidery digitized for most current machine formats this past year. 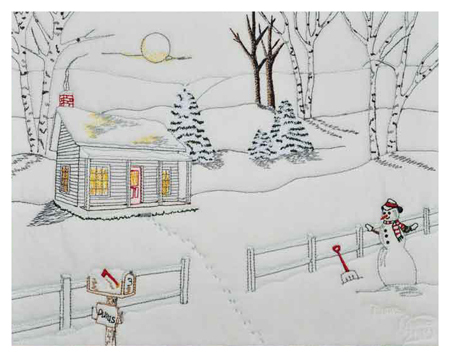 One of the seasonal projects on the CD is featured in the January/February issue of Designs in Machine Embroidery, now on the news stands. Visit my website – www.nancyprince.com – for five free designs!